MAY 27 th ,6 p.m.
Purchase you tickets now for a fascinating, and tastey evening! 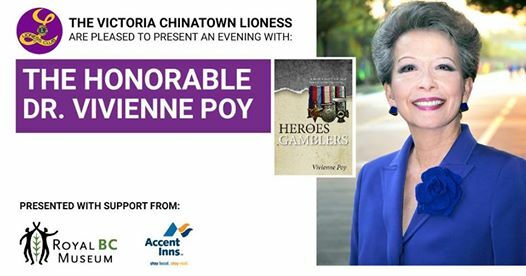 Celebrate Canada 150, with Honourable Dr. Vivienne Poy when she discusses her new book ” Heroes & Gamblers: Tales of Survival and Good Fortune of the Poy Family.” Enhance your understanding of the Chinese diaspora and immigration in Canada . Vivienne Poy was born into a prominent Hong Kong family in 1941. Her early years were marked by war and displacement. When she was just three months old Hong Kong was invaded by the Japanese, forcing her family to flee to China, where they spent the war years as refugees. Upon returning to Hong Kong after the war, her family resumed a position of influence and service to the community. Vivienne Poy immigrated to Canada in 1959, enrolling at McGill University, where she earned an Honours degree in History. Years later she received two highly distinguished honours from the University, on the same day. Just minutes prior to her official installation as The University of Toronto’s 315t Chancellor in June 2003, Senator Poy, a Chinese Canadian immigrant woman, walked across the stage at Convocation Hall to receive her Ph.D in History for a dissertation on Chinese Canadian women immigrants. Her stunning academic achievements – all conducted while simultaneously running a corporation and serving the public as a volunteer and Senator – are most unusual and impressive. Inspired by the desire to understand her family’s past and to preserve the memory of her own people’s struggles, Dr. Poy dedicated herself to the intellectual enterprise of historical research and publication. Her first book, A River Named Lee, published in 1995, is about her family and her ancestors. In 1998 Dr. Poy was appointed to the Senate of Canada – the first Canadian of Asian descent to be appointed to the Upper Chamber. Senator Poy has focused her attention on gender issues, multiculturalism and human rights. She was a sponsor of the Famous Five Monuments in Calgary and on Parliament Hill, which honour the five Alberta women who fought to have Canadian women recognized constitutionally as “persons” who were eligible to be named to the Senate. And it was Senator Poy who was primarily responsible for having May recognized as Asian Heritage Month across Canada. 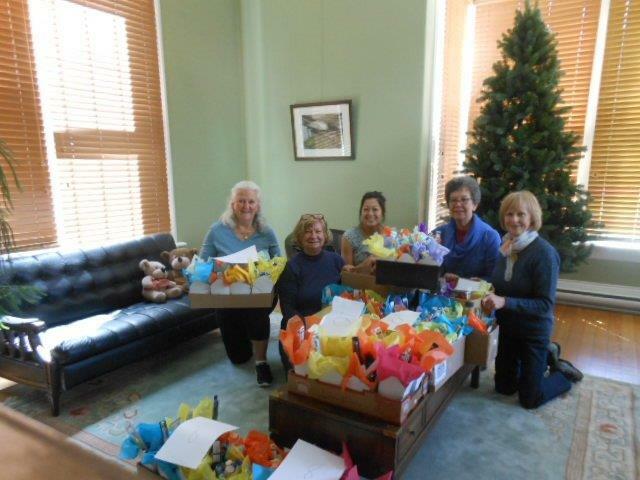 This entry was posted in COMMUNITY SERVICE and tagged author banquet, Author Talk, banquet, Chinese Canadian Women, Chinese heritage, cultural activities, Division 19 Lions Club, Golden City restaurant, Heros and Gamblers, Honorable Vivienne Poy, Lions International Spring Conference, Mothers Day boxes 2017, Sooke Harbourside Lions, toiletries, Victoria Women's Transition House, Zone i 2 Informer. Bookmark the permalink.